Lord Kala Bhairava is the manifestation of Lord Shiva who manages Kaal. Kaal means time. 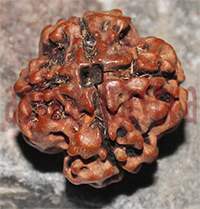 It is widely believed that Kala Bhairava can solve most of the problems which are pending for a long time. According to Hindu scriptures, natives who worship Kala Bhairav to reduce the evils caused by Sani because Sani is also known as Kaal. Both Kala Bhairava and Sani are signified by the colour black. 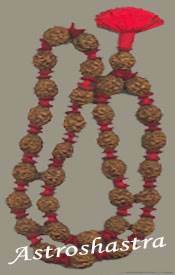 He is regared as the guardian of Yogis and Tantriks, who attain accomplishment of mantras by doing devotion. Bhairav means terrific. He is often depicted with frowning, angry eyes and sharp, tigher's teeth and flaming hair, stark naked except for garlands of skulls and a coiled snake around his neck. In his four hands, he carries a noose, trident, drum and skull. He is often shown accompanied by a dog. Lord Bhairav's worship is very useful to win over your enemies and to get success and all materialistic comforts. It is very easy to please Lord Bhairva by doing normal worship daily. 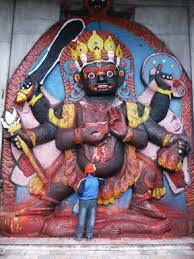 Batuk Bhairav is the most worshipped form of Bhairav in tantra. Lord Kala Bhairava protects, removes all obstacles, cleans the soul with his sheer intensity and makes things favourable for a devotee. He is one of the most feared deities but actually, he is one of the most rewarding ones. The vehicle of Lord Kala Bhairava is the dog. Lord Bhairava is worshipped mainly by Hindus and the Buddists all over the world. His temples are not only located in India, Nepal. Swarna Aakarshana Bhairava (Golden Attracting Bhairava) who will bring gold from heaven instantly. The Swarna akarshana Bhairavar has red complexion and clothed in golden dress. He has moon in his head. He has four hands. In one of the hands he carries a golden vessel. He gives wealth and prosperity. 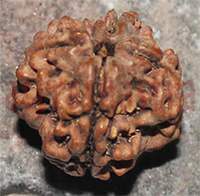 Dhanaakarshana Bhairava is also called Swarnaakarshana Bhairava. Dhanaakarshana Bhairava Homa is also the homa performed to earn the grace of Sri Swarnaakarshana Bhairava. He is also the "Aapaduddhaarana moorti" - the one who uplifts us in times of crisis. He averts all kinds of dangers. The one who worships Swarnaakarshana Bhairava gets everything. He gets all the wealth and richness in his life and also is constantly protected from all the perils in his life. Above all, because Swarnaakarshana Bhairava is the one of the Bhairavas - the terrifying ones - he liberates us from all the patterns and karmas causing the cycle of birth and death. Offering Dhanaakarshana bhairava homa not only makes you successful in your efforts to gain abundance, but also makes you fulfilled in life, which is ultimately the living Enlightenment.